As part of my new (school) year's resolutions to get out and about more, last week I went to Bicester Village to attend an event run by Red Magazine. It was a trend presentation held by Red's Fashion Director Oonagh Brennan and Red's Executive Fashion and Beauty Director, Kim Parker. In preparation for the event, Oonagh and Kim had "shopped" Bicester, choosing pieces to illustrate the trends for the season. The talk was accompanied with a power point presentation. It was a great event from the venue, which was the Farmshop Restaurant, to the presentation and to the people that I met there - plus the subsequent shopping of course. But one of the things that I absolutely loved were the outfits that Oonagh and Kim wore. They had gone for a co-ordinated kimono over jeans look which wasn't try hard, or over fashiony, alienating or inaccessible. And of course one might argue that they were bound to get it right but I think that it would have been easy to choose something that was hugely pricey and alienating to most people in that it could have been super skinny fitting, or the shoes could have had incredibly high heels or it could have been just be too out there for an everyday look. So I thought that I would bring you a few ideas for the "kimono" part of the look, plus a couple of shoe ideas too because it's an easy look to re-create and it's so versatile too. On colder days a black skinny turtle neck could be worn under the kimono. For a smarter look the jeans could be swapped for leather leggings. 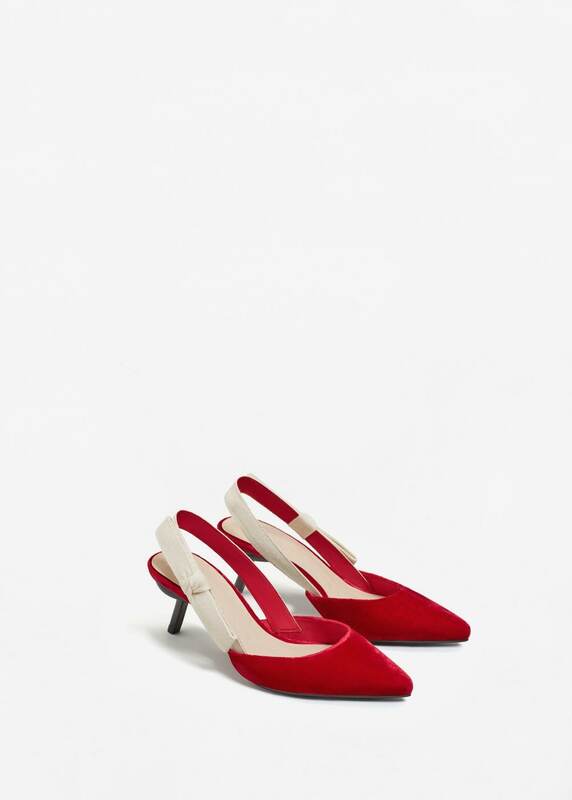 And when it's really freezing, the shoes could be swapped for kitten heel boots. 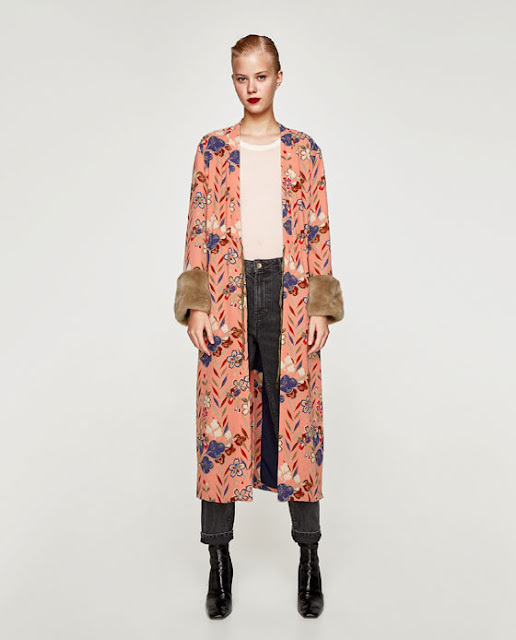 Patchwork is a huge trend for the season (as I now know) so this Zara patchwork kimono (£79.99) nails two trends in one. The colours are beautifully rich for the winter and the side slits are really flattering for those on the petite side. For those who prefer something a little less "busy", the flower print maxi kimono from Topshop (£69.99) has enough detail to keep it interesting but it's not overpowering. Belts are also a huge trend for the season so this could be belted with a wide belt for a neater silhouette. If the full on kimono look is a little too much, then I would definitely try a midi dress over jeans. 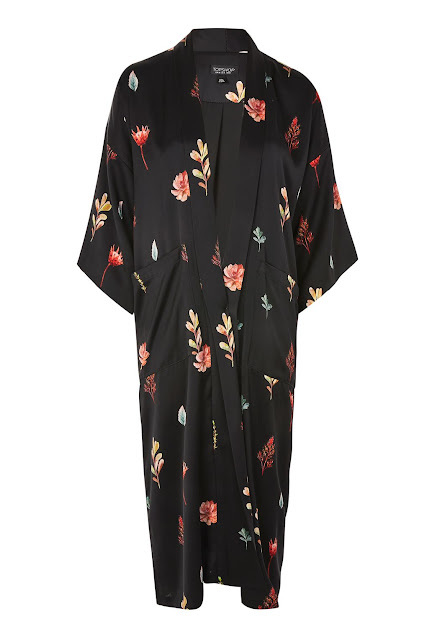 I think that the frill trimmed dress from H&M (£39.99) would enable the look to be re-created without the need to invest in a kimono, which some may feel may be slightly less versatile. If the dress doesn't button all the way down the front (and therefore can't be worn open) I would suggest finding a dress which doesn't have too much volume in the skirt. Or the Cherry draped dress H&M (£49.99) is another great option for re-creating the look but with a dress. 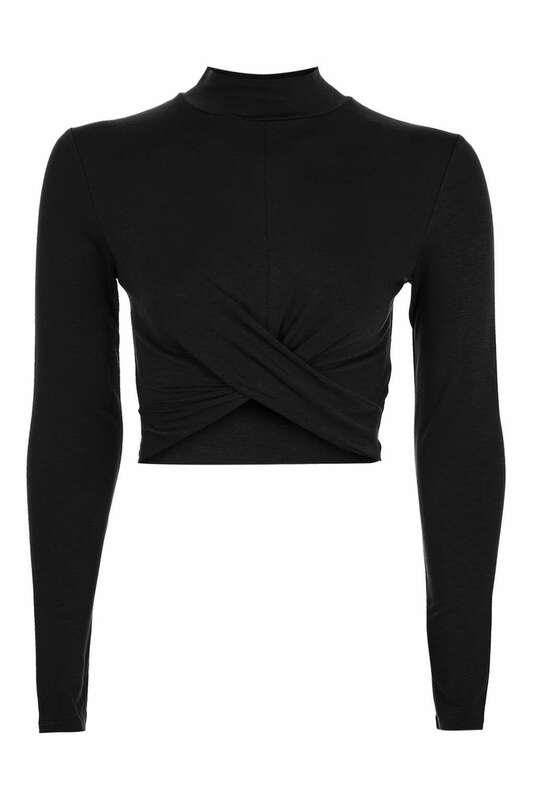 The clever off centre ruching detail is also really flattering, creating a lovely silhouette. Another idea would be to try a Wrap dress such this one which again, is from H&M (£39.99). 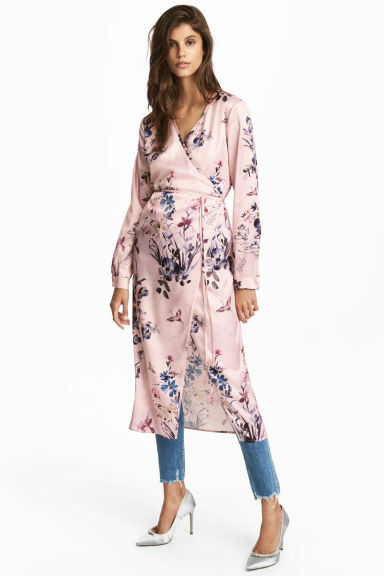 I really like this look and if you've got a curvier bust, the wrap dress neckline will (as you will all have sussed by now) work really well for your shape. 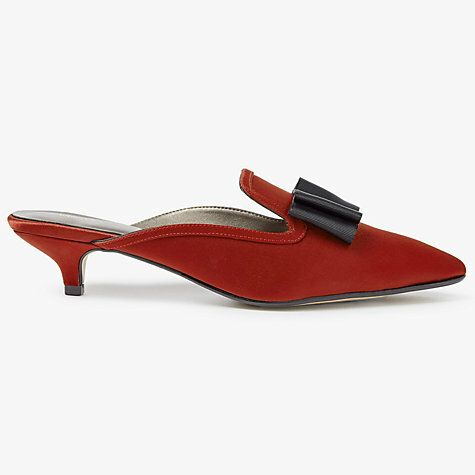 And Kim volunteered that the shoes that she was wearing were these red Velvet sling back shoes from Mango (£59.99), which also come in black. Both styles were gorgeous - kitten heels with a little bit of texture. And who can say fairer than Mango for a pair of fab shoes? This photograph gives a little more of an idea as to Oonagh's and Kim's outfits. I first put this Zara dress over jeans way back in April but it was for a weekend away at the beach so it didn't really work that well. Today though I used skinnier jeans and heels and I preferred it. 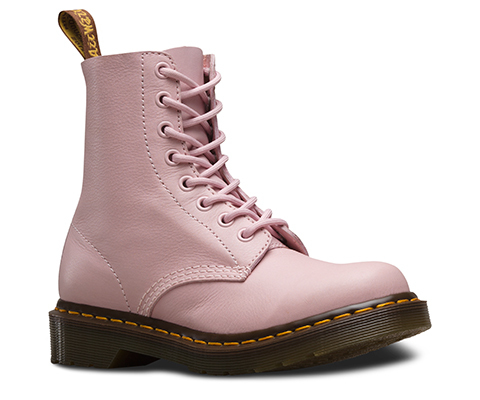 I think that it's a look that will be forming the basis of my wardrobe over the next few months. I used to love wearing dresses over jeans a while back, so it's time to re-visit an old favourite look. I would love to know what you think. Do you fancy embracing this look for a bit of a feminine but practical look....or is it not for you? If you think about it, mid-August is a funny time clothes wise. There are those who are willing the last rails of summer clothes out of the shops to make way for the shiny new Winter collections. And then there are those, like me, who are very happy to see what's on its way into the stores whilst desperately hoping that we will have a last blast of summer warmth - particularly as we still have a week in the Channel Islands coming up. A bag small enough not to take any additional layers of clothing in it, for example a thermal vest, long johns, woolly socks - you get the drift. So rather than lamenting the colder summer weather, let's look on the bright side, dig into our wardrobes and use it as an opportunity to re-work some pieces into lighter weight (but not full on summer) outfits. Anyone with me on it?! 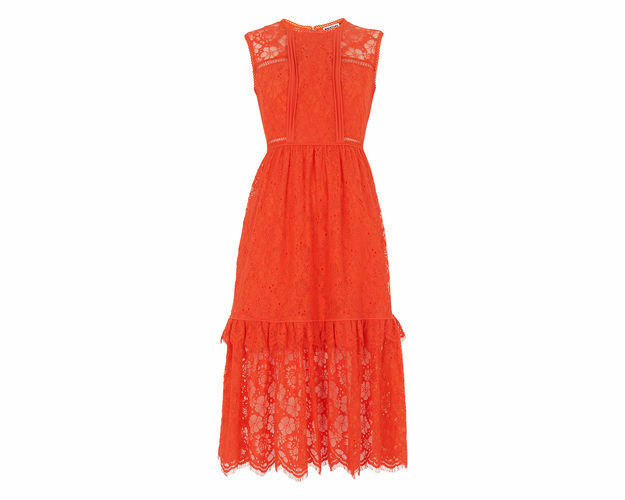 The Whistles Lace Dress - it ticks a lot of boxes! Sometimes you just come across a dress that ticks a lot of boxes and for me, this is it. This is the Rosie lace panel dress from Whistles (down from £249 to £199.20) which I borrowed from John Lewis for the Ladies' Lunch and Style Event at the Botanical Gardens earlier in the week. I hadn't had a chance to try it on beforehand but luckily the fit was great (this is a size 10 - I often go up a size in Whistles) and I have to admit to being reluctant to hand it back. 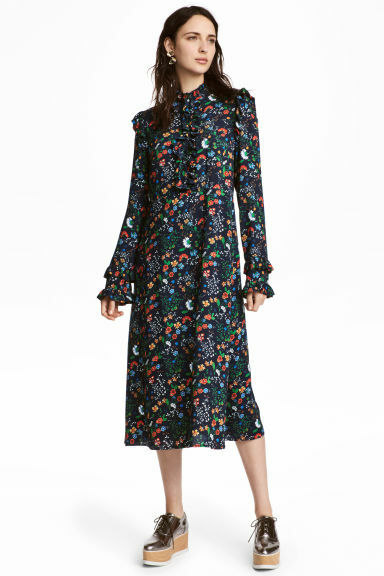 What I really like about the length of this dress is that the deep "hem" panel below the frill allows for a bit of leg to show through but without it being a "short" dress. And for one who has knees which are as wide as her thighs (you've heard of cankles, well let me introduce you to knighs or thees) that is a really good thing. The nipping in at the waist bit is also good and although this is clearly meant to be a "dressy dress" there's enough volume in the skirt to make it slightly less dressy than a pencil/body con type number - without it being so voluminous that it requires the highest of heels to balance out the proportions. This dress is one that I would happily wear on a daily basis with flats (OK, let's be honest, trainers. There, I've said it. AGAIN.) 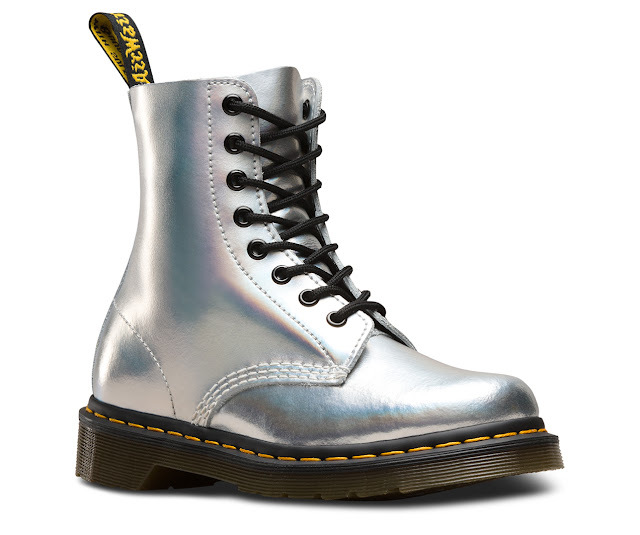 And should I ever be lucky enough to own one, I would wear pretty much day in day out so that it paid its way. And I could have sworn that I saw one in pale grey in John Lewis the other day. 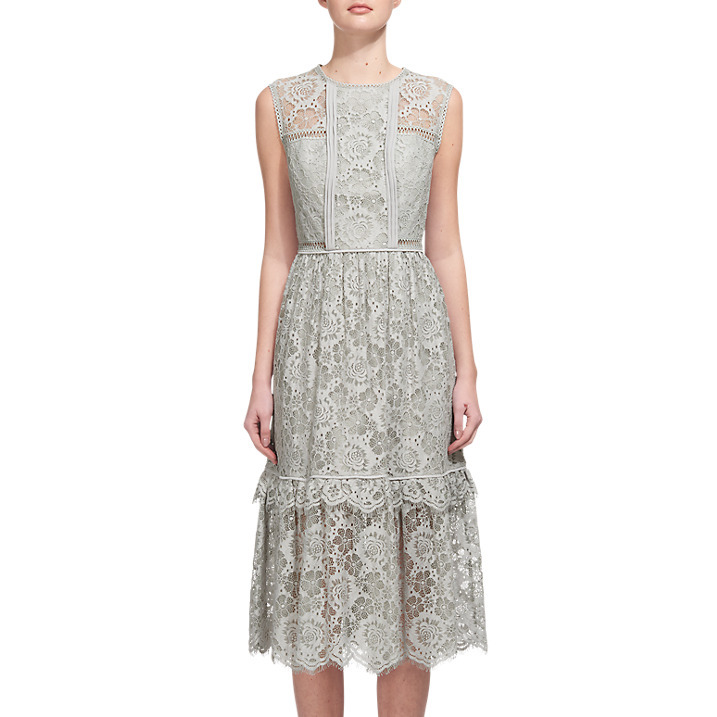 However on closer inspection, what they have is a similar version in the Rosie Lace Dress (note the absence of the "panel" part of the description) which is a John Lewis exclusive. 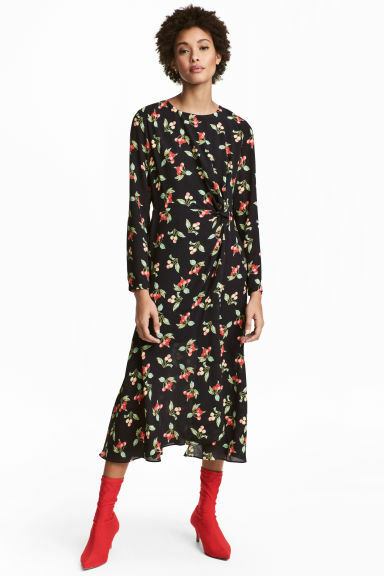 Now the problem with this dress is, because it's an exclusive to John Lewis, it may not be possible to ask them to apply their "never knowingly undersold" policy (which you can scrutinise in full here), meaning that it might be only available at the price of £249. Then again if it's the dress of your dreams then maybe that's one that can be squared off with a little financial/mental gymnastics. And this is a side view of the dress, just in case anyone wondered what it looked like from a different angle. 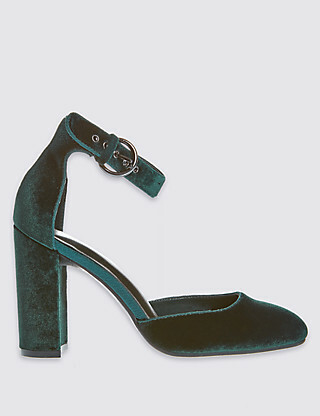 The shoes that I am wearing are Karen Millen past season but for a (sort of) similar look, take a look at these from Steve Madden at John Lewis (£80). I like the juxtaposition of the lace with something a little edgier rather than a girlie shoe but you know, just mix it up and have fun! During a quick trip into town yesterday morning I picked up this soft touch sweater from Zara (£17.99) which comes in pale pink, grey or black. I thought that it would be nice to wear over Christmas, with a long necklace, a statement necklace, or a fur scarf. It's gorgeously soft and the sleeves add that little bit of interest to it. I might just have bought the grey one too....The only problem is that if you do need to do anything of a domestic variety, you really do have to roll up those sleeves - big time! A bit of a frill is a lovely feminine touch, so I've linked to the Zara frilly pieces here if you fancy taking a look. 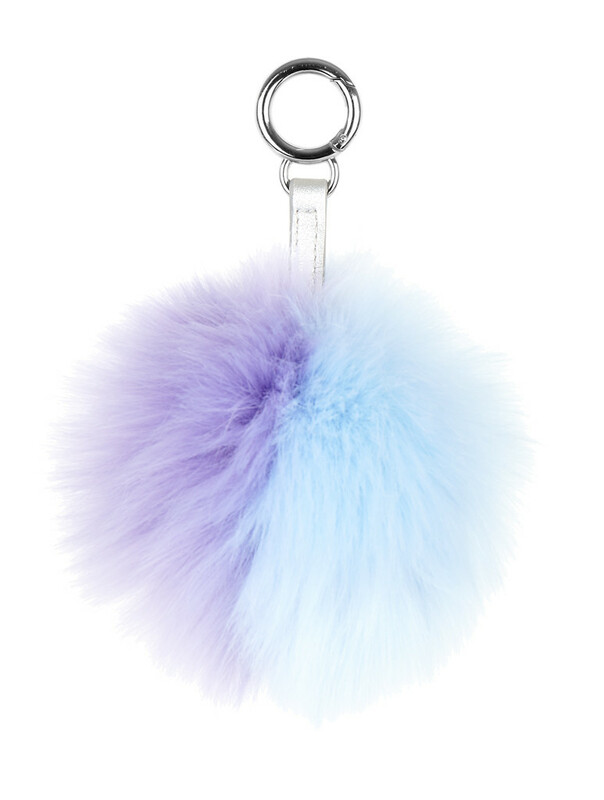 My pom pom has to be bright! There's no doubt that over the past few years, bobble hats have come into their own and one of the best brands for them is the aptly named Bobbl. 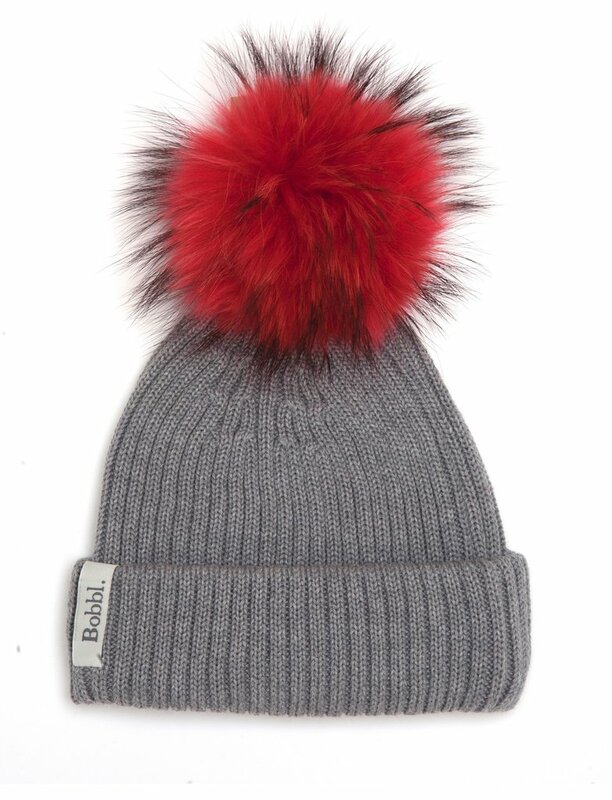 I've been looking at bobble hats for a while now and I was looking at (OK lusting after) the Bobbl ones the other day. However I just felt that the total price of £72 for the hat and the bobble, which can be bought separately, was more than my internal budget of "how much is an appropriate amount to spend on a bobble hat" allowed. But there's no denying that they are gorgeous! So then I got to thinking. Hmmmm. 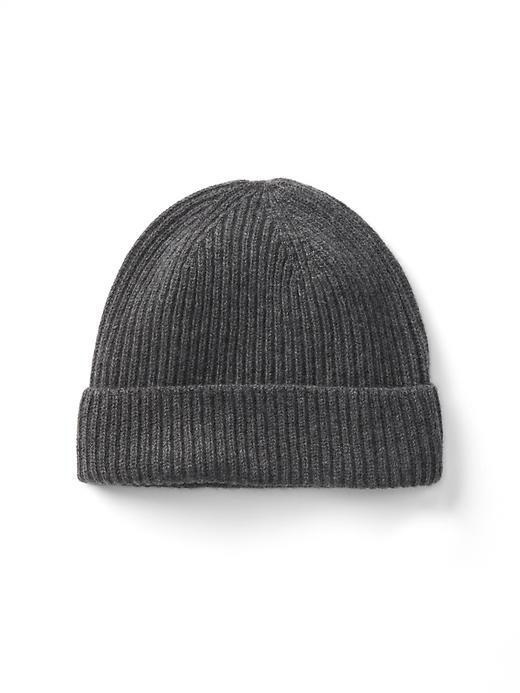 I had a grey cable knit beanie from the GAP and a skinny dip London pom pom key ring that I hadn't yet used, so I got my pliers out, de-constructed the key ring and sewed the pom pom to the hat. And hey presto, I had my pom pom. Obviously it's not quite as good as the bobbl ones but effectively it was free. So I'm happy to go with it for now. 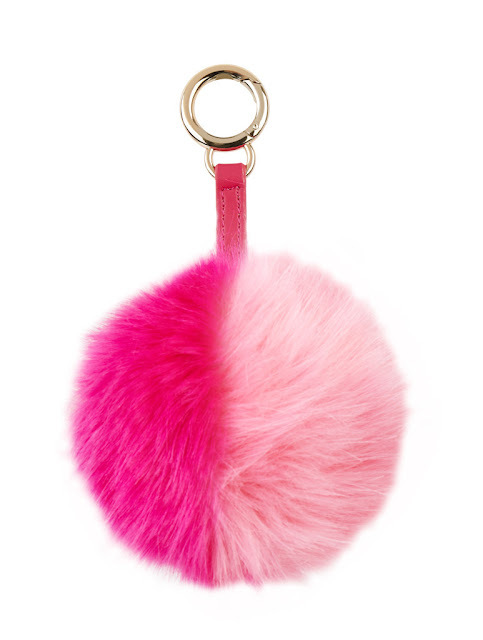 ....and put it with this pink split pom pom £6 from Skinny Dip London. Personally I like a faux fur bobble rather than a knitted one as I can't feeling it crashing around on the top of my head. It's just me. I'm a bit funny about things like that. Oh, and I like it to be bright! ...and then you're pretty much there. There are cheaper beanies around of course, Primark, H&M, New Look etc will all have them. 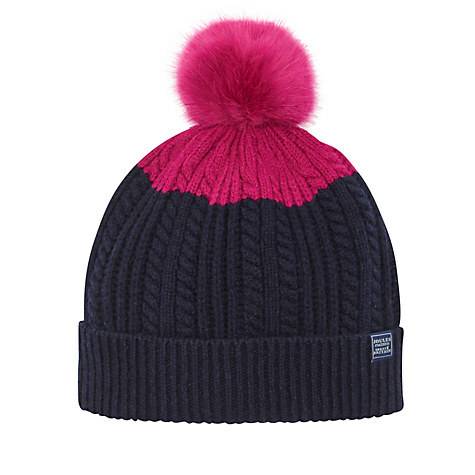 Joules pink bobble hat £19.95 - just look at that pom pom! Joules yellow bobble hat (£19.95) - the colour is probably the nearest thing we're going to get to anything resembling sunshine right now! 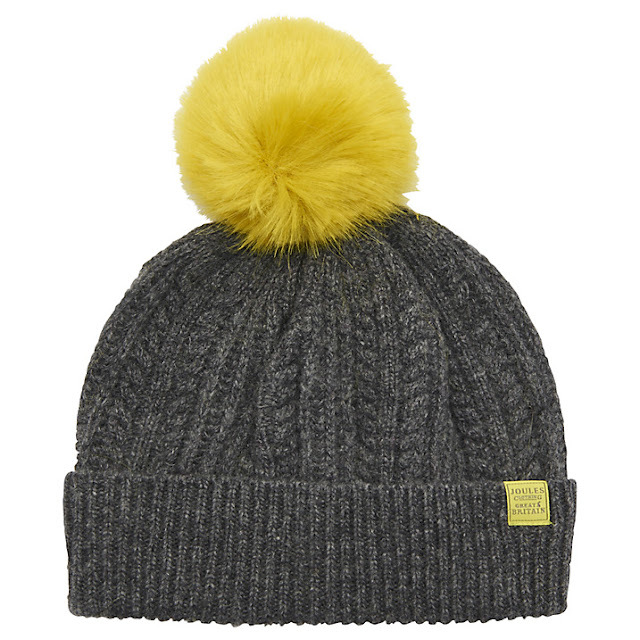 There's also a great one in Accessorize that's yellow and white Fair Isle with a yellow pom pom and John Lewis has some with writing on them - "Prosseco Ho Ho Ho" I think one says, plus there are a couple of others in the same range with slogans on them but I can't find them online. Sorry! Anyway, happy pom-pom-ing! I'm never quite sure why I think that I will achieve so much more in the holidays, than in term time. 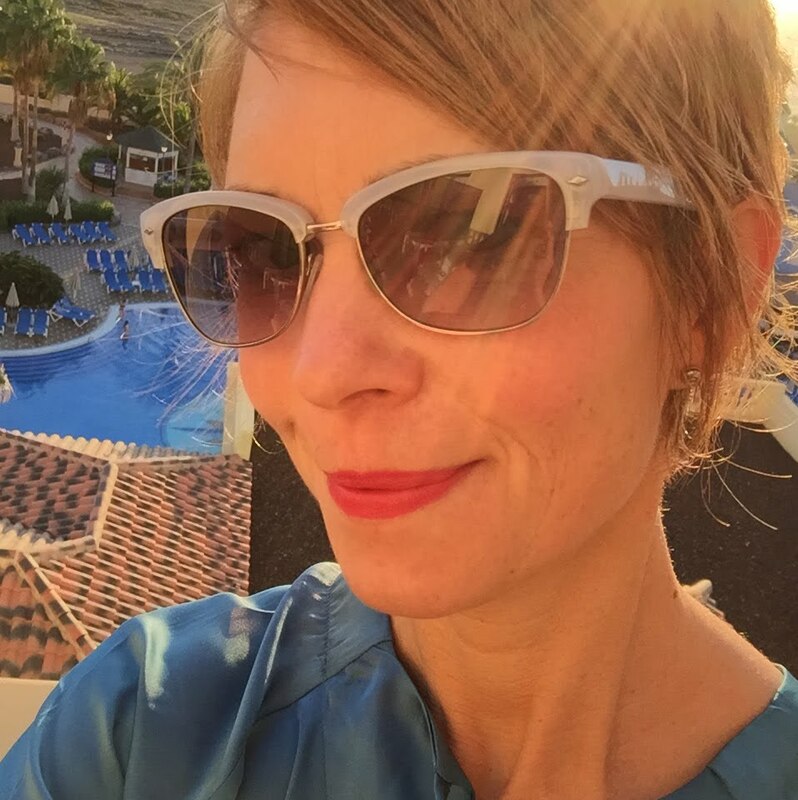 After all these years you would have thought that I would have learned that having three children at home means that I have less time available to blog, instagram, exercise and catch up on things that I think that I will have time to catch up on. It's not that I don't love having them around, far from it. I love doing lots of baking, being taught how to play games on the wii, going for walks and to the cinema I'm just like an elephant but in reverse....they never forget. I never remember. So now that I've got that off my chest, I'm going to share one of my favourite ways of wearing something pretty whilst keeping warm. At heart I'm a girl who loves pretty things - lace, bows, frills, sequins, they all appeal but it's how to wear them in the colder months and remain warm. One thing that I have mastered over the years, well insofar as I've mastered anything, is the art of layering. True, it's not much of a skill but you know, it all counts. So I start off with a vest, something like this one from M&S one for £5 works a treat but H&M also has great ones too. This one comes in five colours and quite often they are two for £8. My revelation from last winter were some cropped, long sleeved, ribbed cotton tops from Topshop which I wore over a vest and underneath everything. They were great because they offered warmth where I needed it but because they were cropped, they weren't bulky around the middle. Topshop seem to have replaced them with this style which might not work so well as the tops have a turtle neck and a twist - so they may not sit quite so flat. But at least they give an idea. Next we have the ribbed turtleneck jumper from H&M (£24.99). There's something about the snug fit of a ribbed jumper that I find really warm, despite its lack of wool, or bulk. 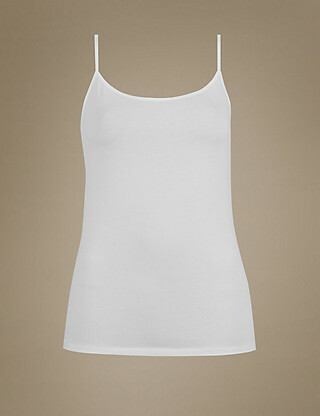 Now some of you will have broken out in a sweat just looking at those layers but for those of you who haven't, I find the combination of those three pieces offer a great base layer but without the bulk and that means that I can then get to the fun part, whether it be a cami top, a slip dress or a lightweight silky top. 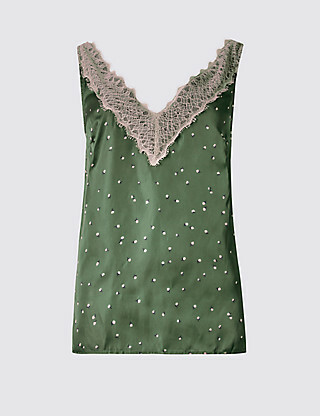 In the above photo I'm wearing the M&S lace trim cami (£22.50). 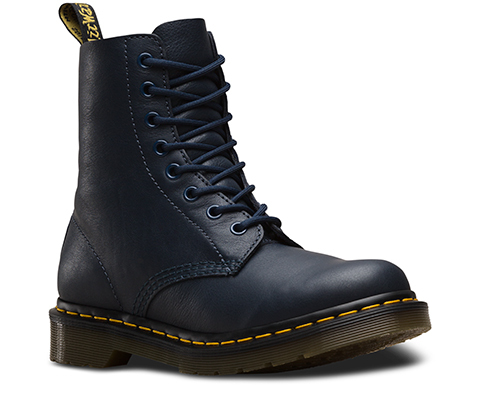 I was actually trying this for size, thinking that I had bought the size 8 but in fact it was the 10, so I have the 8 on order so that I can compare them. Of course I would prefer to pretend that I could wear the silky top just with a thick cardi thrown over it but that's not the case. 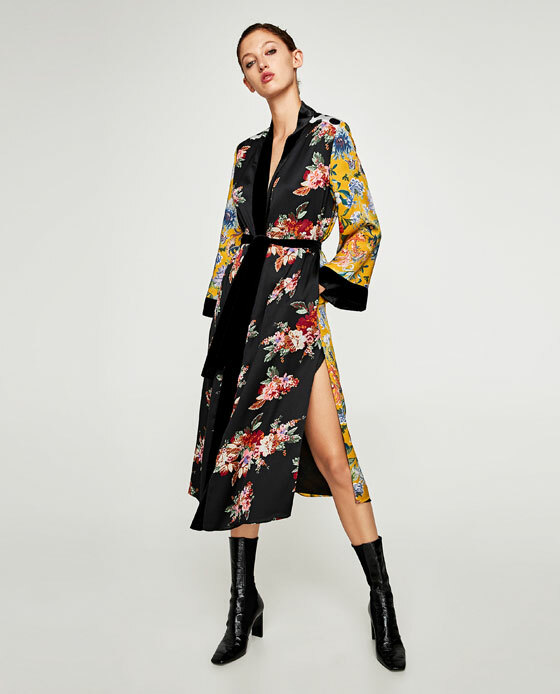 And whilst arguably I would rather not have to layer three extra pieces underneath the silky top, at least it means that I can wear one, even in the winter. And I'm actually quite fancying them with this H&M dress (£29.99) which looks as if it is the snuggliest dress ever made. The alternative Christmas Day outfit perhaps?! We knew that Hush was on its way to John Lewis Birmingham and on Friday it arrived! And how fabulous was it to see it all laid out, to touch it, to see how it could all work together and to chat to the enthusiastic staff about it. I had two smalls with me so my capacity for trying on was limited but tomorrow - well that's another story, as they return to school and I will be there like a shot! Starburst t-shirt (£40) - This charcoal grey colour works better for me than a lighter grey colour. Throw in some stars, particularly gold ones, and I'm there. Although it's called a tee, unless I imagined it, it has long sleeves which are perfect as we head (slowly, hopefully) into the colder months. Love jumper (£79) - Who doesn't love a "Love" jumper? I've had a New Look one for a very long time now and I've loved wearing it, so I know that this wouldn't just sit in the wardrobe looking pretty. Rita printed shirt (£59) - Shirts can be tricky. Too formal or corporate and they don't always work but equally something too evening like can be limited in its versatility. 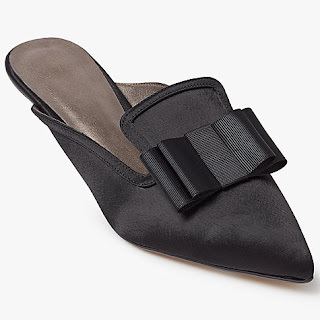 This one however could be worn however and whenever, so it's on my list of Hush loves. Claudia dress ditsy print (£99) - This dress comes in a knee length, or a full length option. The full length option has a deep side split, which makes it more edgy rather than more "Little House on the Prairie." I can't wait to try this one on. Eskimo parka coat (£170) - There's something about the blue fur that got me as soon as I saw it. I also had a good feel of it as well though and it has a good weight and lots of warmth to it too. C'est Si Bon jumper (£49) - Great for those who love a slogan sweatshirt. And see the leg in the background complete with pink sparkly trainers and Marshmallow the Build-A-Bear? That's one of the smalls I mentioned earlier. Anyone fancy coming to Brum for a visit? !